We all have stress in this modern world and in our routine life days, so we are looking for solutions to reduce these stress. The tea and coffee based on a medical and scientific research are good ones for dealing with these stress and a cup of any of these is a good way for starting a new day. Even these routine things that are based on culture of any country can be interesting for other people, Just imagine that for buying your daily favorite coffee, stand in a long queue and perhaps in these long lines you will find friends :);Or British afternoon tea which perhaps reminds you the beautiful dishes and delicious sweets, and interesting formal Japanese tea ceremony that wearing their traditional dress with the special way of drinking in cups handles. 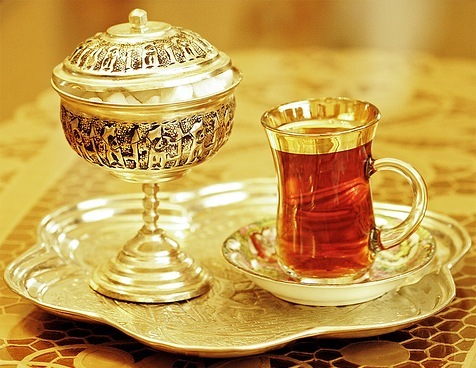 Most of people drink tea in Iran and this traditional drink, beside medical benefits ,has social aspects that could be interesting to you. 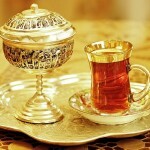 Tea in Iran is served in family parties and important events , such as traditional marriage ceremony which is first formal visiting of two families. 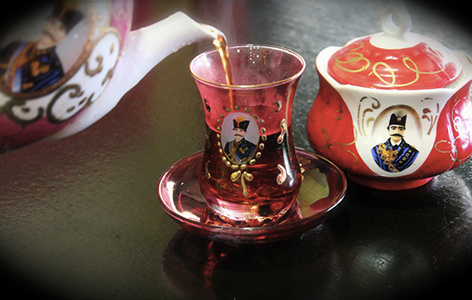 In the past, tea was served in narrow waist cups (Kamar Barik) on a saucer that is still served the same way in tea-house. The cup has cylindrical form that is narrow in middle part. But there is a reason for using these kinds of cups ; By keeping the scraps of tea leaves in the bottom ,it help us to drink easier. 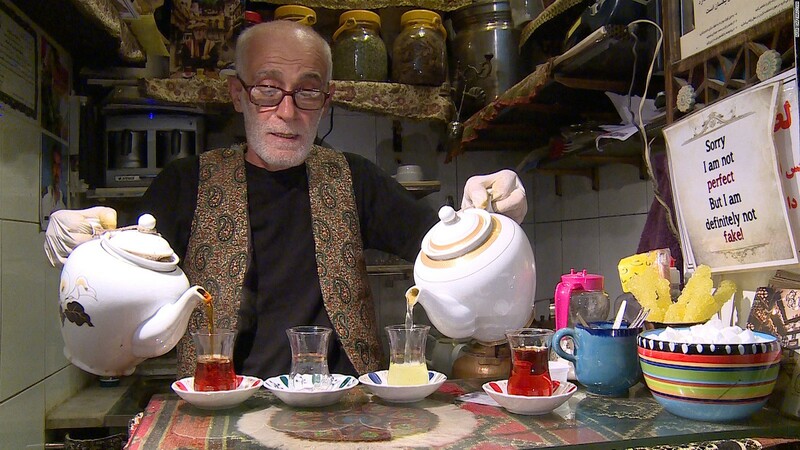 Teahouses are not just places for drinking tea and spending free time, they also have special role in Iranians social life. 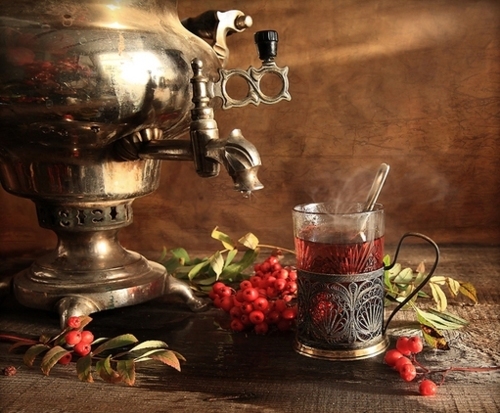 In the past ,there was a person in tea houses who was called Naghal (narrator) and his role was telling the literal-historical stories in an attractive way . Those stories weren’t only story but also had some inspiration which were full of informative tips. Architecture of these places are derived from the traditional houses and you can see the beautiful paintings on the wall of teahouses. so if you have trip to Iran visiting these places would be interesting. 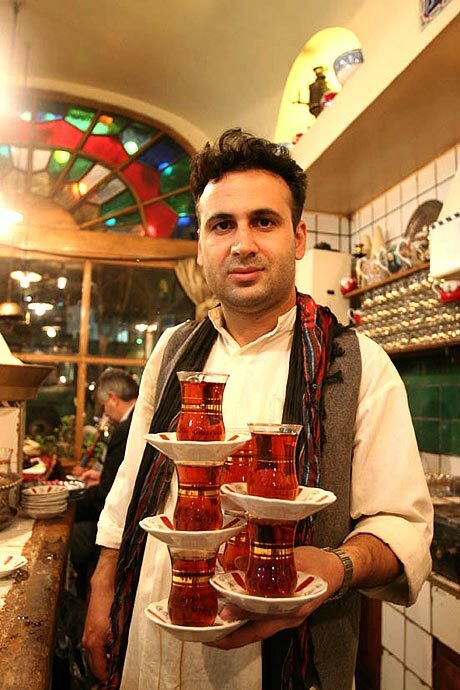 Haj Ali Darvish Tea House: There are many tea houses in Tehran grand Bazaar, the most interesting one is Haj-Ali Darvish tea house. 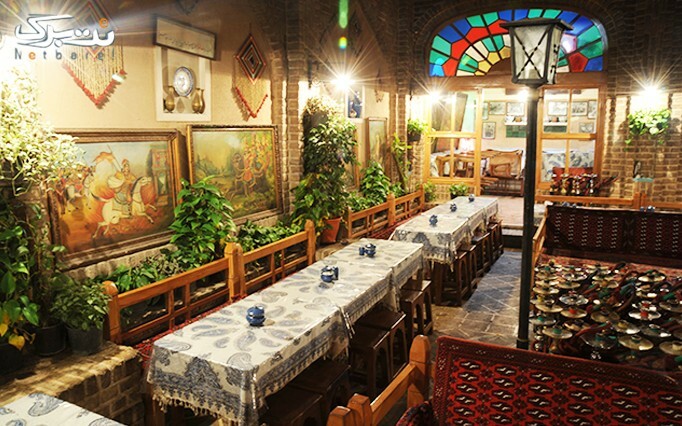 It is the oldest and also the smallest café in Iran. 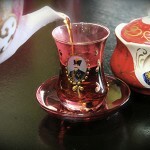 The menu contains different kinds of Persian style tea, coffee and hot chocolate. There is also a gift for each traveler, a welcome coin. 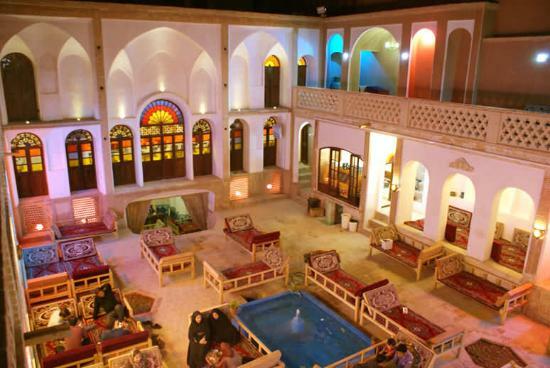 Azari Traditional Tea House: Traditional Persian foods are another part of some menus in Iranian tea houses. 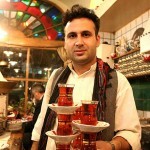 Azari tea house located near the Tehran train station is one of the bests in serving Dizi and Kashke Bademjan. 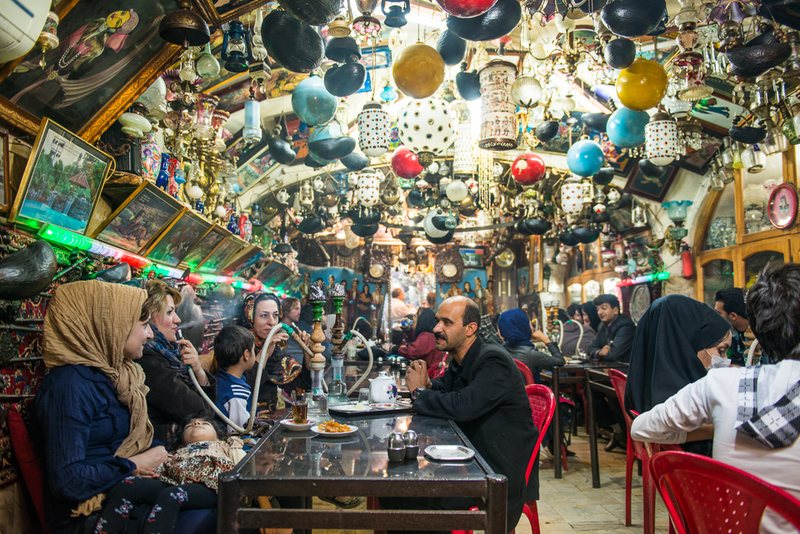 Azadegan Tea House: Located in Naqshe Jahan Square of Isfahan, Azadegan tea house has lots of visitors from all around the world. Antiques hang from the walls and ceiling needs lots of time to be explored.